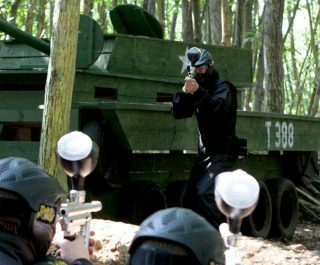 The East Glasgow Paintball centre is a welcome addition to the Delta Force Paintball family, joining it’s sister center in West Glasgow. Located not far from Junction 4 on the M80, this centre is perfectly placed for visitors from Glasgow central and surrounding areas. This centre features 5 exciting game zones, freshly constructed by our dedicated productions team. 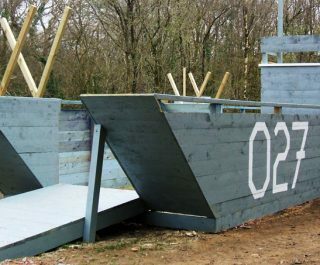 Prepare yourself for Enemy at the Gates where you’ll face an intense battle for victory amongst WWII themed bunkers and tanks. 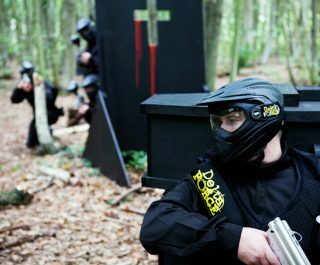 If you’re looking for something to keep you on your toes, check out the creepy Dawn Of The Dead game zone, featuring its very own spooky church. 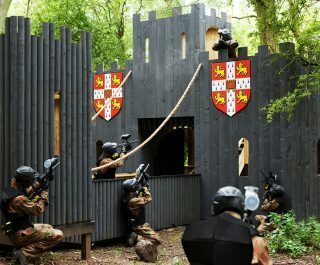 Come on down to the East Glasgow Paintball Centre and have an amazing game of paintball today. 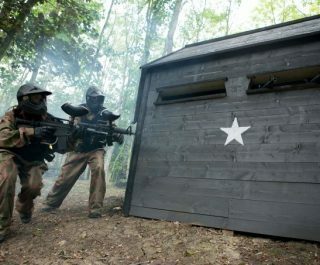 Book the East Glasgow Paintball Centre now by visiting the paintball booking page or calling our events team 24 hours a day, 7 days a week on 0203 869 9301.